Today I’m thrilled and honored to be this week’s featured guest on Saron Yitbarek’s CodeNewbies podcast. Listen here! I talk about my journey learning to code as I transition from working as a chef, and I share two personal, painful stories that served as significant turning points in my journey. Saron and I met at ELA Conf in November, where she gave the inspiring keynote “Punching Your Feelings In The Face” about her journey learning to code and becoming more assertive. You can watch her talk on YouTube here. It starts at 4:00. The point of the weekly CodeNewbies podcast is to talk with people about their coding journey in hopes of helping listeners with theirs. The podcast is just one feature of Saron’s incredibly supportive CodeNewbies project and network, which includes a blog, a weekly Twitter chat (Wednesday at 9pm), even local meetups. 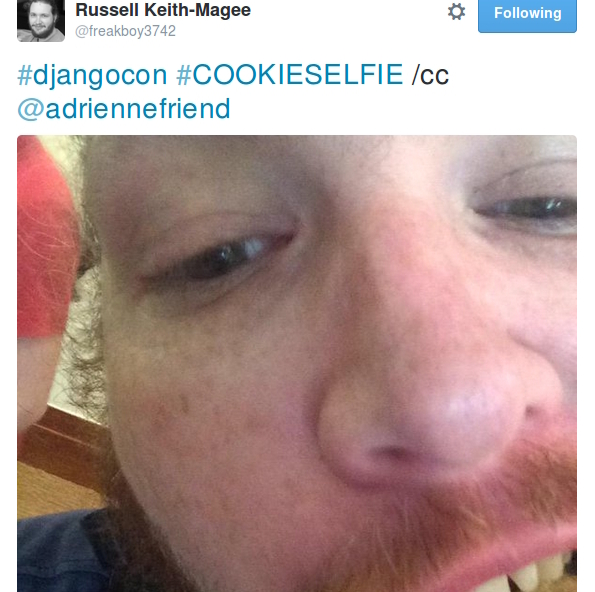 I was introduced to CodeNewbies by my awesome friend Kojo, who spoke at DjangoCon US in 2015. And at last week’s PyLadies meetup, I had Atlanta’s CodeNewbies organizer Kim Crayton give one of our most inspiring and powerful talks ever, on effective mentorship. Saron invited me to speak with her CodeNewbies audience because she enjoyed my talk at ELA Conf, Bake the Cookies, Wear the Dress: Bringing Confident Authenticity to Your Tech Talk. 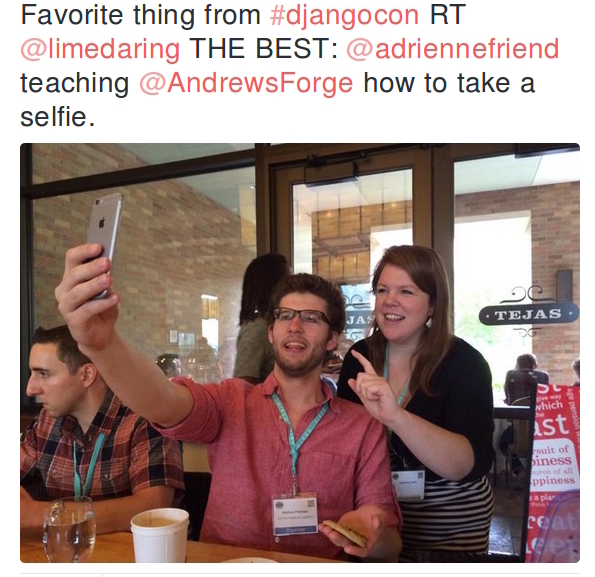 (It’s also the one that Lacey referenced and found so helpful for her PyLadiesRemote workshop, Your First Conference Proposal. (Watch the video of Lacey’s talk here.) You can watch my talk here on YouTube – it’s only about 20 minutes! 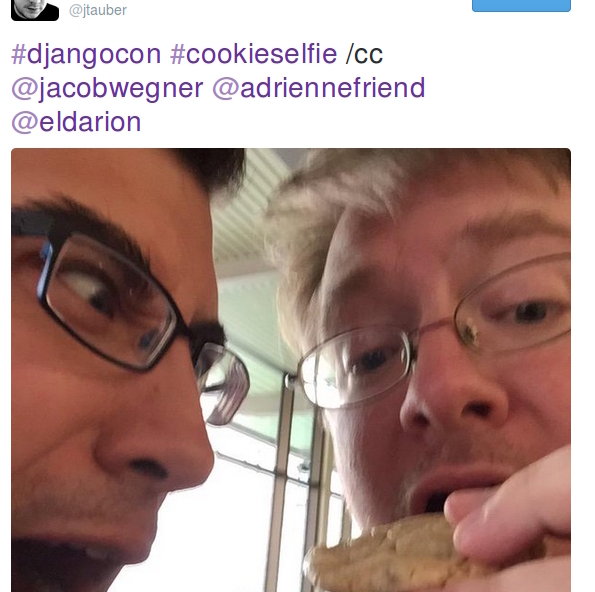 I gave that talk because when I was getting ready to give my first talk at PyTennessee in February 2015, I received some really bad advice about how I should do it. Advice so bad, it almost kept me from even giving the talk – which, if you’ve followed my journey since a year ago, you know would have prevented a million other wonderful things from happening on my journey with code. I gave the talk to inspire folks to give talks and lead with confident authenticity, to connect with your audience in a deeper way, and to encourage people – especially newbies – who might need a little more help getting started. It’s also helpful to draw on your past experience for powerful analogies, and empathy, to your current challenge. 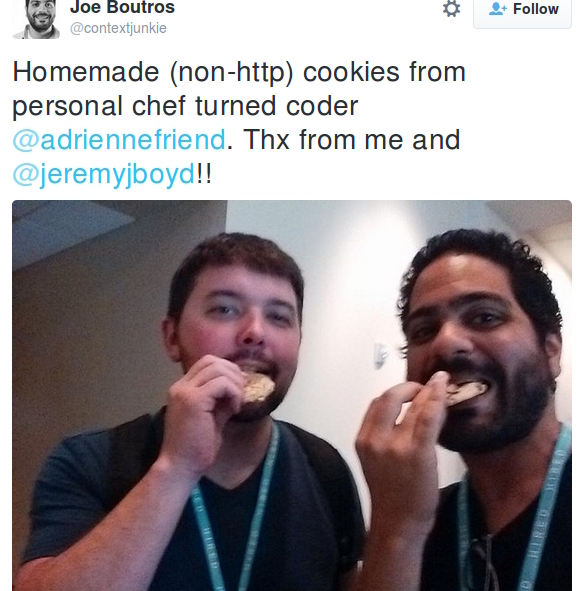 As Saron and I discuss, before I started learning to code, I was a personal chef. Cooking was something I became an expert at over time and with effort applied. But when I decided I wanted to shift gears and learn how to code, I was incredibly nervous. I reminded myself that if I had managed to learn this other skill, and become quite good at it, maybe there are lessons from that journey that I could apply to this new challenge. Critically, this attempt came at a crossroads in my life. As I explain starting at around 6:00 minutes in, I committed myself to learning to code in the midst of an extremely difficult breakup of a nearly six-year relationship with someone I absolutely adored. My quiet, personal shorthand for it was that I wasn’t just Learning Python the Hard Way, I was learning it the extra, super, mega, actually-the-hardest way. With Saron, I talk about how I worked through that incredibly challenging time and, after a period of intense grieving, used it as the foundation to recommit to myself. It was a turning point where I realised, in my journey to code, that I had been sinking a lot of my time and love and effort into somebody else’s goals. This was an opportunity to reverse that; I could start sinking time and energy and love into my own path. And this is really common for women – we’re more likely to assume roles as caretakers for children, partners, aging parents, and so on. We end up putting the needs of others before us; we put our own goals on hold. This was a common theme I heard from attendees of my Django Girls workshop. Listening to myself on the podcast, I remembered that when my ex broke up with me, he wrote me an incredibly heart-felt letter and he said exactly this. It was so hard to read that letter, but it contained so much wisdom. Even though he ultimately decided he couldn’t be with me any more, he watched me for six years pour myself into others, and desperately wanted me to do that for myself. In his letter, he asked me to. He knew. 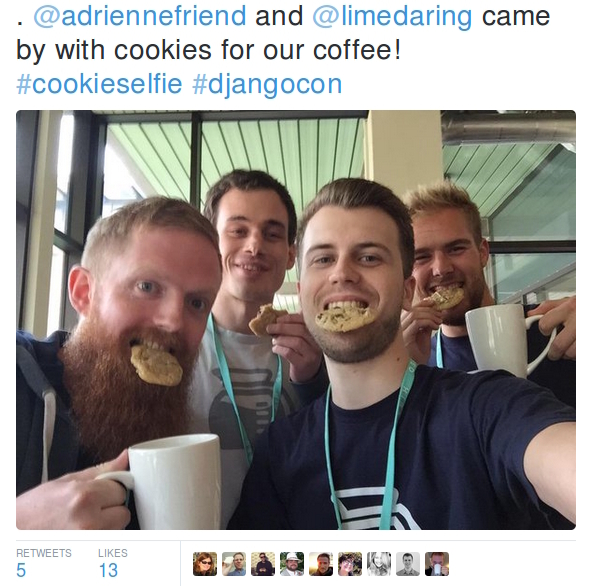 In the year and a half since it happened, I went on to speak at conferences, travel Europe solo, meet so many amazing new, close friends, and dig deeper into Python and Django. I’m giving my first keynote this week at PyTennessee, the conference where I got my start. Wearing a “power dress” and #cookieselfie-ing, I’ve challenged myself in ways I never thought possible, and importantly, instead of having one important developer stand by me in support, I have found myself surrounded by an entire *community* of caring, talented people. Thank you listening, and thank you for being there. 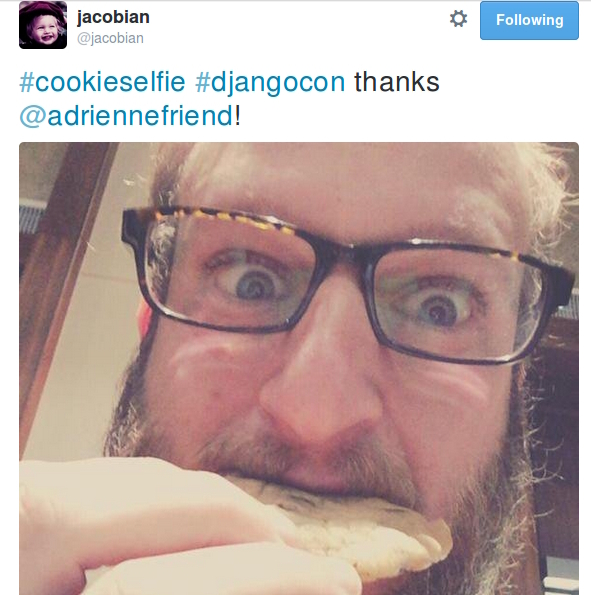 I really loved your interview on CodeNewbies. You were humble, kind, confident, funny and very relatable. I was encouraged in my own life change. Thank you for sharing! Thank you so much for listening to my interview and for taking the time to tell me that it was helpful to you! ❤ Hope things are going well for you. I just listened to your interview on Code Newbies and I was so inspired! I know it was a few months old, but I am just starting to learn to code and it was so nice to hear someone else switching from cooking to coding! I was wondering what you would think about the do it yourself method vs. the boot camp route. I would rather not have to take out a loan for a boot camp, but I’m a little worried about teaching myself.. Any advice for a super newbie? I think a boot camp could be good, only because I know some great developers who went through them and now have successful careers. However, as someone who couldn’t afford a boot camp, I can’t speak directly to the experience. I would say that regardless of whether you take a boot camp or you teach yourself with docs, tutorials, and practice projects, it’s going to be really hard work. There are enough free or cheap resources on the internet for you to learn what you want without having to front 10, 12, 15K for a bootcamp. This is taken from a modern tech stack and my personal experience, but if you look around at job requirements for full-stack developers, this will look familiar! So, my suggestion before you spent a whole bunch of money is pick ONE of these areas, do a full tutorial (aiming to get it done in a week or so), and then see how you feel. Could you commit? Where did you run into trouble?